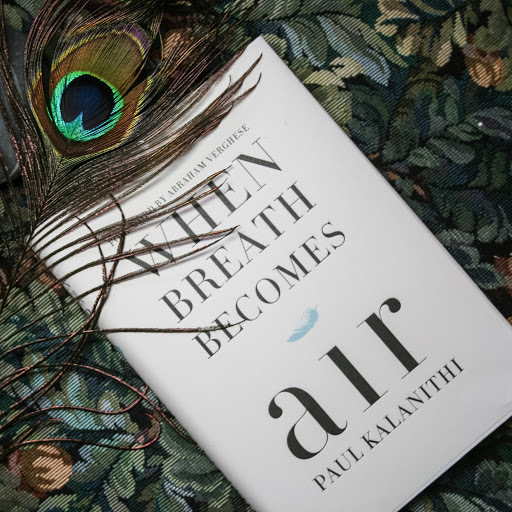 When Breath Becomes Air is a very deep and thought provoking book by Paul Kalanithi. He was a young neurosurgeon diagnosed with terminal lung cancer in his late 30’s. He wrote the book after he was diagnosed and it was published after his death. It is part memoir, part spiritual and existential reflection. Extremely powerful. I’m still trying to sort out my thoughts about the book. One persistent thought was how relatively meaningless my life is. This man is brilliant and driven. His description of the process of becoming a neurosurgeon is daunting. The level of commitment and the enormity of the workload are just amazing. I was exhausted just listening to it. My least favorite parts of the book were when he described the actual surgeries, the types of disorders he confronted and the tragedy of many of the cases. But that was clearly necessary to give a full picture of his life. But his involvement in such enormous life and death issues made my life seem somewhat puny. Add to this his eloquence as a writer in describing actual events and ruminating about the meaning of life and I felt totally inadequate. I was surprised toward the end of the book where he gave a short account of his relationship with the Christian faith of his upbringing. He described a period of intense atheism followed by a seemingly somewhat tentative return to the faith. As with the rest of the book, this passage was honest, rational and thoughtful and tracked pretty closely my own path. There is a gut wrenching epilogue, written by his wife after Paul’s death. She clearly shares his gift for writing. In it, she describes in minute detail his ultimate decline and death. It is both horrifying and beautiful. And, of course, it also made me feel inadequate. It is a truly extraordinary book. So, in struggling with these feelings of meaningless, I did come to a bit of an epiphany. Or at least an intellectual way of coping with these thoughts about the meaning of my life in relationship with others, particularly those more accomplished than me. It seems to me that there are two fundamental possibilities. Either there is no God and life has no meaning. We are simply the product of a materialistic accident and will come and go just like all material things. In that case, comparing my life or accomplishments to someone else is a useless exercise. Neither of our lives matter. My life is not any more or less meaningful than Nelson Mandela’s in the broad scheme of things. At some point, the Sun will explode in a super nova and the earth will become a cinder and nothing that happened here will be remembered by anybody or anything. So, what does it matter that Mandela transformed South Africa and I lived a life of relative obsurity? It doesn’t. Why is there something versus nothing? What is the “self”? Not who am I, but what am I? Religion answers those questions, though it does require faith in the unknown, which is problematic. Still, the Christian faith does provide a guide for living that strikes me as moral, constructive and deeply satisfying. I’m a great believe in Catholic social teaching. So, of two options, religious faith is the one that provides a more happy life. And, if I’m wrong, what have I lost?